Quantum Development Kit has been updated to version 0.2.1806 in preview, delivering new tools, performance boosts, and more. 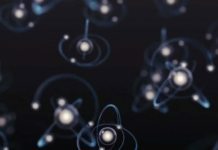 Microsoft’s Quantum Development Kit has received an update that adds several improvements to the quantum programming service. In the recent update, the company announced major performance enhancements and a new debugging ability. Also, on the changelog are improvements to variable views and two new information functions. QDK moves to version 0.2.1806 thanks to this update. In terms of performance, Quantum Development Kit now handles simulations better. Microsoft notes the increase is noticeable regardless of qubits. Significant performance improvements for simulations, regardless of the number of qubits required. New debugging functionality within Visual Studio shows the probability of measuring a “1” on a qubit the debugging window, making it easier to check the accuracy of your code. Improved display of variable properties, enhancing the readability of the quantum state. Two new functions that output probability information related to the target quantum machine at a specified point in time, called DumpMachine and DumpRegister. Quantum Development Kit was released in preview last December. Microsoft described it as a culmination of several years of testing and development. The suite comes with a new programming language, called Q#. It has a compiler for scalable quantum computing. Visual Studio integration and Azure cloud support allows over 40 logical qubits of power. The kit also contains debugging capabilities, as well as extensive libraries, samples, and documentation. In February, Microsoft introduced Quantum Development Kit to Mac and Linux, making it a cross-platform service.